AS Pest Control provide an efficient, affordable and professional squirrel control service in Mansfield. Available 24/7 we offer a quick and reliable service to conveniently remove the squirrel problem. Do I Have a Squirrel Problem? The most common problem with squirrels is when they take residence in a loft space. They can make a lot of noise and are usually much more destructive than rats or mice. Squirrels will enter a loft space for shelter or to use as a breeding site. A male squirrel will have numerous nests within his territory, these are usually in trees but can be in buildings. In gardens squirrels can cause damage to bulbs, plants, trees, eat bird's eggs and young birds. Contact AS Pest Control and we can provide a free onsite squirrel control Mansfield quotation. When squirrels enter a loft space they can cause structural damage by tearing up insulation to use as bedding, chewing timbers, pipe work and damaging stored items. They can cause fire hazards by stripping insulation from electrical wiring and/or chewing through cabling causing fires or electrical problems. Grey squirrels are classed as vermin and it is illegal to release a trapped grey squirrel. Do not attempt to block any entry holes prior to treatment as this may cause the Squirrel(s) to cause further damage when trying to get back into your home. AS Pest Control provide Squirrel Control in Mansfield starting from only £50. Treatment for squirrels is much more time consuming and difficult than other rodent pests. Controlling squirrels in outside areas can be carried out but needs to be carefully considered as once a family of squirrels has been removed, sooner or later that territory will be occupied again by other squirrels if the population in the area is large enough. Trapping and poisoning are the main methods used with the technician deciding if one of both methods are required. Legally traps must be checked daily, if an animal is caught in the trap please contact us. If the squirrel problem was inside it is important to ensure that the building is proofed to prevent further squirrels entering. This should be done after treatment has been completed. To help prevent further squirrels entering your outdoor space ensure food such as bird food is not available as squirrels will go for this instead of any bait put out to catch them. 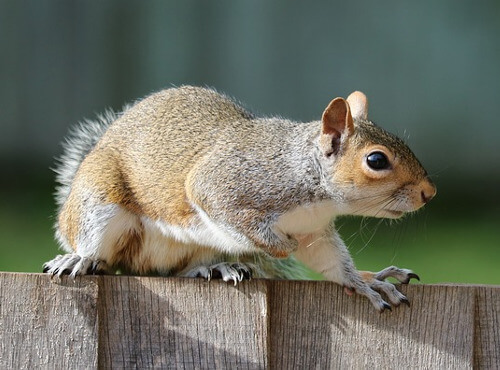 AS Pest Control provide a local, affordable squirrel control solutions for residential and commercial customers in Mansfield, Nottingham, Derby, Chesterfield, Worksop and surrounding areas.